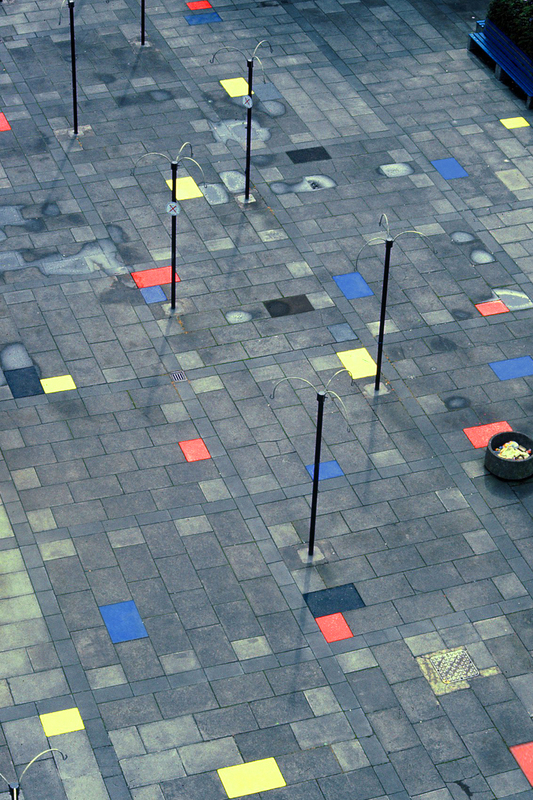 This piece involved illegally painting a large number of rectangular paving stones, in the three primary colours and black. In Belfast kerb stones are traditionally painted in the colours of the Irish or British flag separating different areas into Nationalist or Unionist zones. "Elsewhere in Doherty’s oeuvre early modernist concerns are deconstructed. 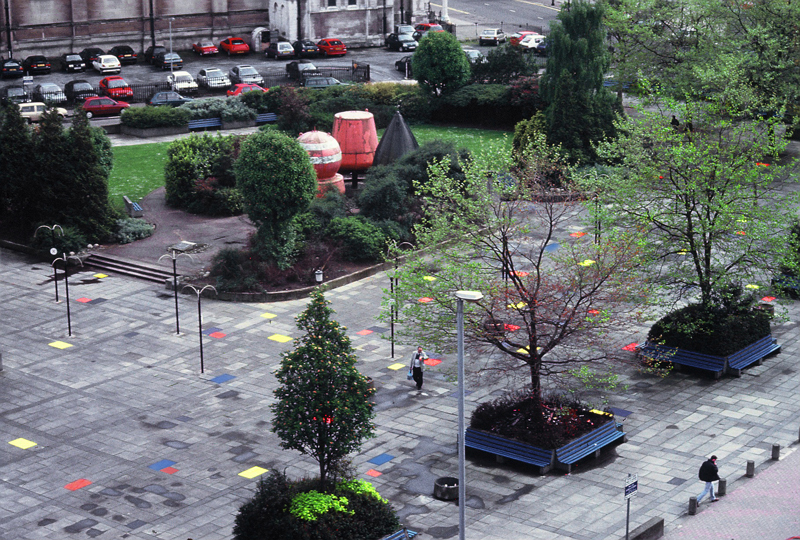 In ‘Belfast Boogie Woogie’, 1997, he painted Mondrians’s checkerboard Neo-Plasticism in red, blue, yellow and black onto the streets of Belfast, applying uncompromising purist ideas to the grey slabs of concrete on a depressing concourse. Public art interventions, graffiti and a witty critique of the blindness of early formalist approaches meet on a few broken slabs. Reality is temporarily altered, and silver clouds are given pretty black linings. - 'Maurice Doherty - The Art Of Memory' - Alexander Kennedy - The List, Scotland. All images and text © Maurice Doherty unless otherwise specified.